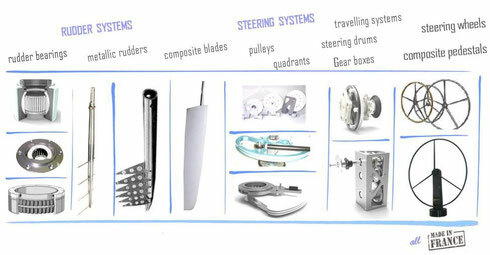 STEERING SYSTEMS and RUDDER SYSTEMS as well as SELF ALIGNING RUDDER BEARINGS and various CUSTOM NAUTICAL PARTS for Cruising, Racing , Giga Sailing Yachts but also Motor Yachts. For almost 30 years JP3 has worked closely and has supplied the most respected yacht builders of the world. In the NON NAUTICAL section, you will find the wide range of skills mastered by our multidisciplinary team for the FILMING, LEISURE or HIGH LUXURY industries.